The Corkcicle is a brilliant product with an award winning design that’s destined to become a classic. 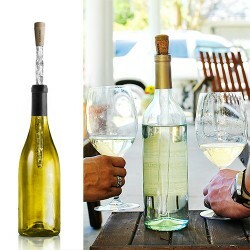 This clever device is an eye-catchingly simple solution to keeping your favourite wines chilled to perfection. 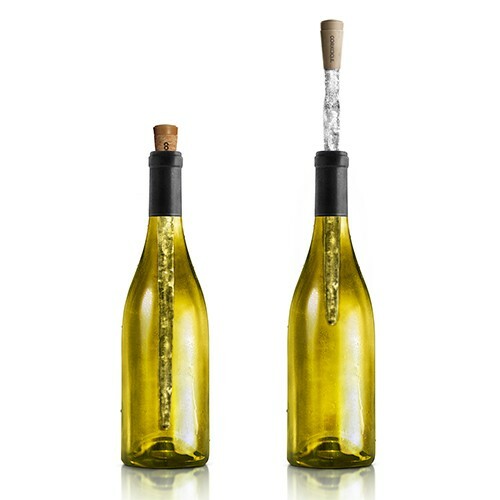 Not only does the Corkcicle remove the need for cumbersome and table cluttering ice buckets, it also keeps your white wine at the optimum temperature – too cold and it could mask the vintner’s uniquely crafted complexities, too warm and the flavours may take a back seat to the alcohol. 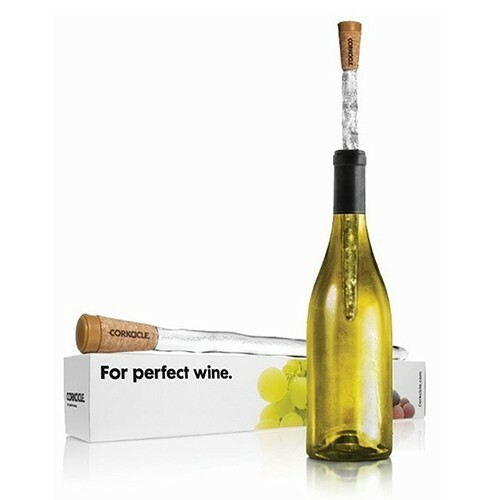 It couldn’t be easier to use - just put the Corkcicle in the freezer for 2 hours (ours tends to live in the freezer for those ‘shall we have a bottle’ moments). 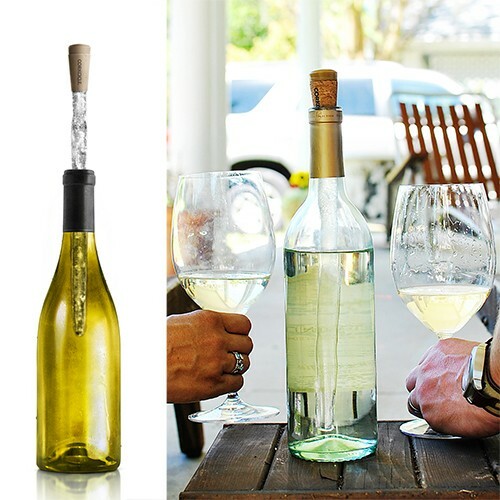 Then simply pour your first glass of chilled white wine and insert the Corkcicle, your wine will then remain at the perfect temperature for over 45 minutes allowing you to enjoy it without putting a wrap on the bottle or a messy ice bucket - it’s an uncomplicated way of keeping your wine chilled at the table with no need for ice or fuss. 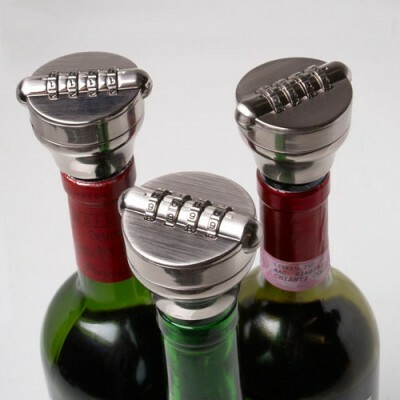 We also find it improves fruity reds such as Beaujolais or Burgundy in the summer months, or if you prefer them at ‘cellar temperature’. This is a wonderfully original gift for any wine lover, and it also makes an original wedding or housewarming gift. 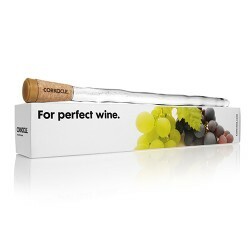 The Corkcicle is stylishly presented in an attractive gift box with an illustrated guide.